The pancreas is a delicate organ that is easily damaged and slow to heal. It has two important functions. The first function is to produce insulin for the body to use and store glucose. The second function is to produce pancreatic enzymes (amylase, lipase, and protease) that enable the body to digest and absorb fats and proteins in the digestive tract. As the organ that produces enzymes that digest fats and proteins, the pancreas has all sorts of built-in checks-and-balances mechanisms that prevent the enzymes from digesting itself - since organs are made of proteins as well. However, when the pancreas starts to inflame, that built-in checks-and-balances system starts to break down, leading to the pancreas almost digesting itself. Pancreatitis is the inflammation of the pancreas. The inflammation can be mild, or it can be more severe with hemorrhage. Onset can be sudden and quick (acute pancreatitis). Some dogs, after suffering and recovering from an acute pancreatitis attack, may continue to have recurrent bouts of the disease, and the symptoms may also worsen over time progressively (chronic pancreatitis). If the pancreas is severely inflamed, the pancreatic enzymes can leak into the abdominal cavity from the pancreas and start to digest other body organs, causing permanent damage to other organs nearby (e.g. the liver, bile ducts, gall bladder, and intestines). When a number of cells that produce the digestive enzymes are damaged, insufficient food digestion results. This condition is known as pancreatic insufficiency. When a large number of cells that produce insulin are destroyed, diabetes mellitus (sugar diabetes) can result and insulin therapy may be needed. 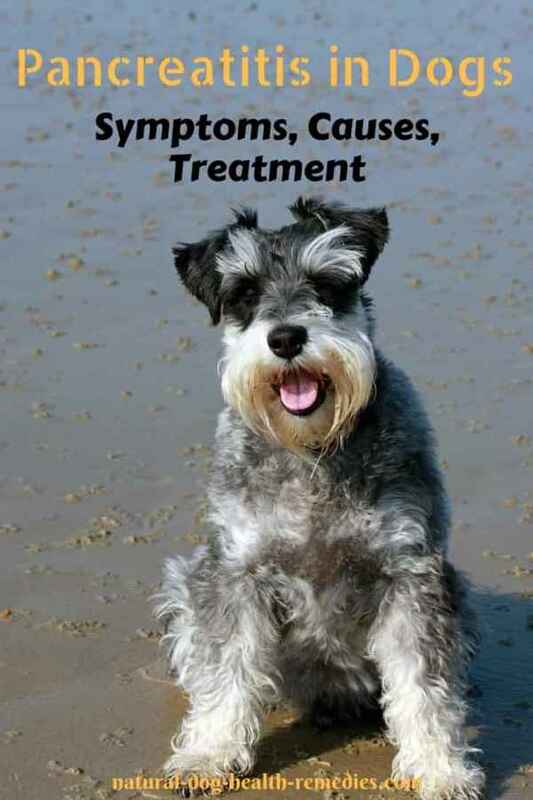 The underlying root cause of canine pancreatitis is unknown, but it can have various triggers. Many holistic veterinarians believe that one of the main triggers is diet. The processed foods that many dog parents feed to their dogs are very taxing on the dog's pancreas because such foods are devoid of natural enzymes. Therefore, the pancreas has to work very hard every time the dog eats to produce extra enzymes to digest the foods. As a result, the pancreas can actually live in a state of chronic stress and inflammation. In addition, many dogs are fed a diet that is much too high in fat, which can also be a trigger that results in low-grade recurring pancreatitis in dogs. Certain medications are also known to cause canine pancreatitis. For example, anti-seizure drugs such as potassium bromide or phenobarbital are well known to cause pancreatitis issues. Other drugs include corticosteroids (Prednisone) and certain diuretics (such as lasix or furosemide). 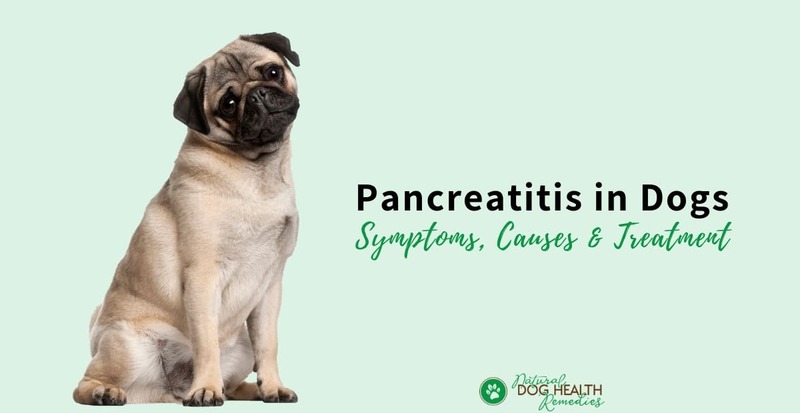 Pancreatitis is most common in middle-aged or older dogs - especially in dogs who are fed diets high in fat, or dogs who are overly pampered and are fed too much junk food. Breed-wise, Miniature Schnauzers and Yorkshire Terriers tend to be more prone to develop pancreatitis. If your dog shows the above symptoms and your veterinarian suspects pancreatitis, he will probably first do a regular blood test to see if the lipase and amylase levels are elevated, in which case there is a high chance that your dog does have pancreatitis. For a definitive diagnosis, the vet will do a blood test called the PLI test. This test helps identify the pancreatic immuno-reactivity or the lipase levels that cause inflammation within the pancreas. Conventional treatment of this condition usually requires hospitalization. Food, water and all oral medications are withheld for 24 hours or more in order to give the pancreas a rest. If the dog's symptoms improve in the course of a few days, food intake in small portions can resume but the food given is bland, easily digestible, and low-fat. In addition, fluid replacement therapy will be given to the dog to maintain normal fluid and electrolyte balance. Fluids are either given subcutaneously or intravenously. If the dog is in severe pain, he may be treated with pain-relief medications. Antibiotics are also often administered to protect against infection. Dogs suffering from a bout of acute pancreatitis can usually recover without permanent damage if they receive prompt treatment. On the other hand, if a dog with pancreatitis is not being properly treated, the condition may deteriorate further. When it gets to the stage where hemorrhage occurs, the prognosis is poor. Sometimes the dog may die suddenly. Exercise improves and promotes digestion and intestinal movements, resulting in a healthier digestive system. Dogs who have a healthy digestive system are less likely to develop pancreatitis. Also, as mentioned above, obesity is one common trigger of pancreatitis. Regular exercise can also keep the dog's weight down and can prevent canine pancreatitis. Feed your dog a balanced and natural diet. Do not overfeed your dog, especially with fatty foods or human junk foods. More importantly, give your dog dietary supplements of digestive enyzmes especially if you feed your dog processed foods (e.g. kibbles, canned food). 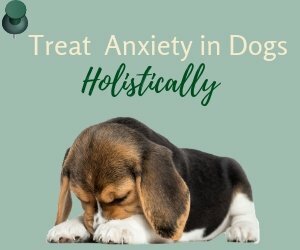 If your dog is prone to bouts of pancreatitis, you may want to consider using natural remedies such as herbs and supplements as well as a natural diet to help strengthen and support his liver and pancreas, so that pancreatitis can be prevented. Visit this page for more information.